THE NOTORIOUS OPIUM-EATER RETURNS IN THE SENSATIONAL CONCLUSION TO DAVID MORRELL'S ACCLAIMED VICTORIAN MYSTERY TRILOGY. 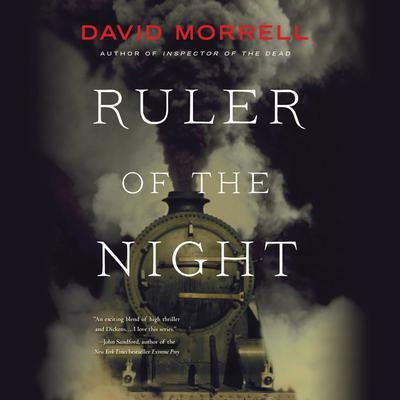 Like David Morrell's previous De Quincey novels, Ruler of the Night blends fact and fiction to an exceptional degree, this time focusing on a real-life Victorian murder so startling that it changed the culture-in this case, the first murder on an English train. The brutality of the crime stoked the fears of a generation who believed that the newly invented railway would "annihilate time and space." In Ruler of the Night, listeners feel they're actually on the harrowing fogbound streets of 1855 London as the brilliant Opium-Eater, Thomas De Quincey, and his irrepressible daughter, Emily, confront their most ruthless adversary. The stakes couldn't be greater: both the heart of Victorian society and De Quincey's tormented soul.